UBS Group AG investors should reject the firm’s compensation report, shareholder adviser Glass Lewis said, citing high fines in a legal dispute and generally lackluster performance of the bank’s shares. 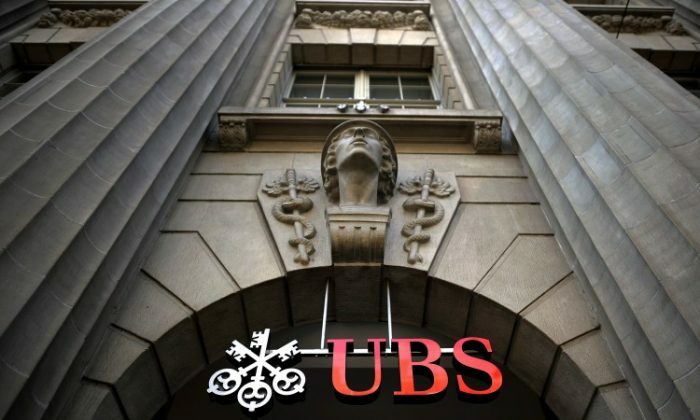 UBS had proposed a pay package that included 14.1 million francs ($14 million) in compensation for Chief Executive Officer Sergio Ermotti for last year. While that’s down slightly from the 14.2 million francs he received in 2017, executive pay generally at UBS “appears consistently above peers,” Glass Lewis said in an emailed report. Ermotti has come under pressure as shares of the lender declined 32 percent last year and the bank was ordered to pay a record $5 billion in a French tax scandal. Last month, the CEO stunned investors by saying that conditions in the first quarter were the toughest in years, forcing the bank to slow down hiring and deepen cost cuts. Glass Lewis also criticized compensation at cross-town rival Credit Suisse Group AG, telling investors earlier that they should reject that bank’s compensation report as well. A pay increase by 30 percent for CEO Tidjane Thiam was “unjustified” even after he delivered Credit Suisse’s first annual profit in four years. At 12.7 million francs, Thiam would still be making less than Ermotti. Glass Lewis recommended voting for executive compensation, saying that it was “overall supportable” despite the concerns raised about the company’s performance and the rejection of the compensation report, which details how pay is structured as well as the bank’s policies and procedures for executive compensation. UBS Hong Kong Open 2016: Phenomenal! The Swiss bank has asked its China wealth management staff to reconsider their travel plans to the country in light of the news.